Native applications are built for some specific mobile platform or operating system only, (such as for Android, iOS or for Windows phone). We should remember that native apps may look good and perform very well in comparison to HTML5 App or Hybrid Mobile App (We are coming to it in next paragraph), but that may not be true in all business cases. If your application is very dynamic in nature, lets say, a mobile game application with lots of animation then native apps should be your first choice however if your need is for a simple yet interactive app, with little bit of animation then hybrid mobile application is the answer. The major drawback of Native applications is that you will have to get it developed for each mobile platform or OS separately. The truth is, Native apps would cost you a lot in comparison to Hybrid apps, because you’ll have to pay cost for development for each different application and for each different device/platform/OS. 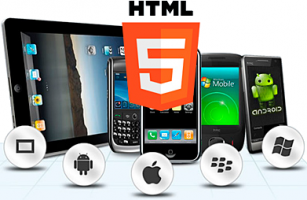 And since each mobile platform has its own User Interface, there would be lot of additional work to do, starting from Designing Mobile theme to Mobile app programming.